These high quality wristbands are made in the USA with genuine DuPont Tyvek material. Each wristband has a strong, waterproof adhesive closure plus tamper resistant security cuts which deliver a great level of security. 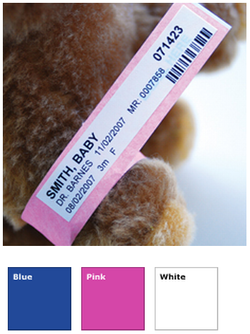 Maternity wards are deploying our Infant Patient ID products at an increasing rate. 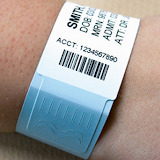 These wrist bands are a perfect solution for those short, unexpected visits that will give staff and parents a peace of mind knowing proper identification for infants is being carried out throughout the hospital. or our Tyvek Wristband Product List page.